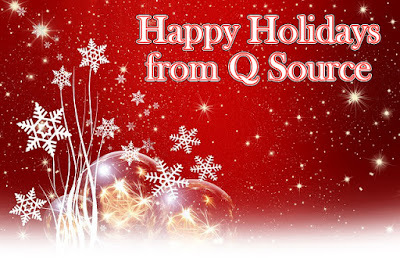 We here at Q Source wanted to send our warmest wishes for Happy Holidays to you and your family. And as we come to the end of the year, we wanted to take another opportunity to thank our loyal customers. We look forward to serving you again in the New Year. Happy 2018! We'll begin the New Year on Tuesday, January 2, 2018 with regular business hours. Please note: Our expansive Web site, QSource.com, is available 24 hours a day, seven days a week for your orders or RFQ/inquiries. Orders submitted when our office is closed will be processed ASAP on the next business day we are open. We also encourage you to visit our Q Source Resource Blog and follow us on our social media accounts. For questions and further information please call (800-966-6020), email us, or chat with us live at the Q Source Web site. Season’s greetings! 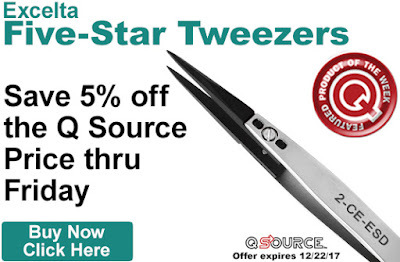 Save an extra 5% off the Q Source price of Excelta’s Five-Star Tweezers. Get this special discount by adding eligible tweezers to your shopping cart. Our Featured Product promo is valid Monday, December 18, 2017, through Friday, December 22, 2017. Eligible tweezers include models from the ESD-safe PEEK series, ESD-safe ceramic tip series, Cobaltima series, and the IntelliTweeze R-C-L TweezerMeter. Various tip types (such as tapered, straight, bent, offset, curved, angled, etc.) are available. Visit the individual product pages for more detailed information. Click here to purchase Excelta Five-Star Tweezers. For further questions, call us (800-966-6020), or send us an email. Please note: This promo is valid only at QSource.com. ASG’s Free Power Supply promotion is a long-running, popular special offer. The current version of this promo is expanded to include more eligible products. When you purchase one of the eligible ASG HIOS or TL Electric Screwdriver (see below for chart) you’ll receive a Free Power Supply. Screwdriver series include A Series, BL Series, BLG Series, CL Series, SS Series, SSCR Series, and TL Series. 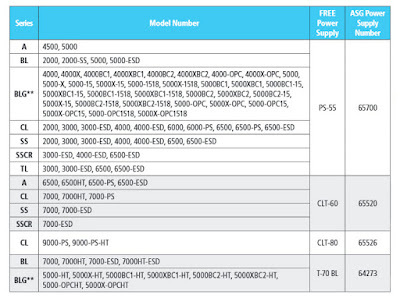 Free power supplies include the PS-55, T-70 BL, CLT-60, and CLT-80. Add an eligible driver to your cart and the Free power supply will be automatically added to your order. 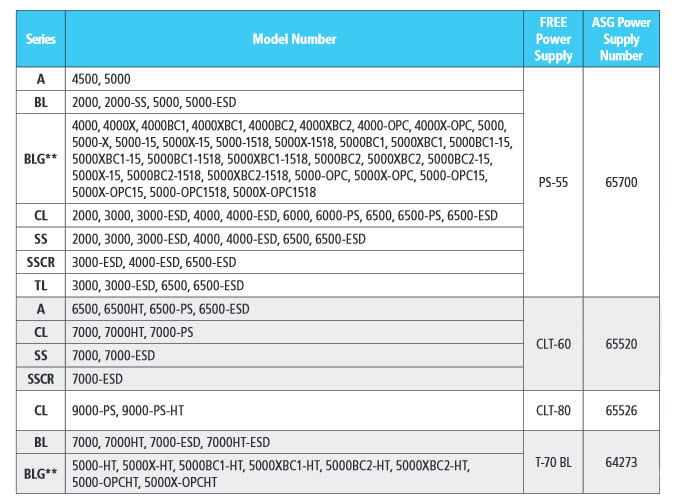 Please note that BLG-OPC models require either the purchase of the BLOP-SC1 (ASG #65590) or BLOP-SC3 (ASG #65591) counter with the order to receive free power supply. Offer cannot be applied to previous purchases. Promo-eligible ASG Electric Drivers include a wide selection of models that are perfect for light, standard, medium, and high torque applications; for use with a range of screw sizes, and drivers that are made for use in cleanrooms or on static-sensitive components. Shock-absorbing models provide 80% less impact for use in sensitive applications. Free power supplies are provided based on electric screwdriver purchased. The PS-55 is for use with precision low-voltage electric drivers, the T-70 BL is for use with the BL series drivers, the CLT-60 operates most ASG electric drivers, and the CLT-80 is for use with CL-9000 drivers. Please visit our ASG Free Power Supply promo page to purchase ASG Electric Screwdrivers and get your Free Power Supply. You may also contact us by phone (800-966-6020), email, or via our Web site. 1/19/18 UPDATED INFO: Please note, the ACL 300B is currently unavailable. It is expected to be shipping again in March. We will provide more details when we get them. We’re excited to once again feature a special offer on ACL Staticide’s static/resistivity meters: Free Freight on the ACL 300B Precision Electrostatic Locator, the ACL 380 Resistivity Meter, and the ACL 395 Resistivity Meter. Now through January 31, 2018, get Free UPS Ground Shipping in the contiguous United States on these popular static testing tools. The ACL 300B Precision Electrostatic Locator offers a quick, reliable way to measure static charges. The 300B can measure static charges from 0 to 30,000 volts, has repeatability of ±1% and accuracy of ±10%, and is designed for close-in repetitive readings. With its hand-held size and accurate results, on-the-spot measurement of static charges is incredibly easy in a variety of static-sensitive environments. The ACL 380 Resistivity Meter offers lightweight auto-ranging surface resistivity metering for all facets of material production. The 380 can test conductive, dissipative, and insulative surfaces for electrical resistivity according to the ESDA’s parallel resistivity probe method (DIN EN 100 015/1 & ANSI/ESDA-S11.11). The unit has a test range of 103 to 1012+, measuring voltages of 10v and 100v, a resistivity of 103-1012 ohms/square, and a resistance of 103-1012 ohms. The ACL 395 Resistivity Meter offers high accuracy for all areas of manufacturing and research departments via its sophisticated circuitry and contemporary design and function. 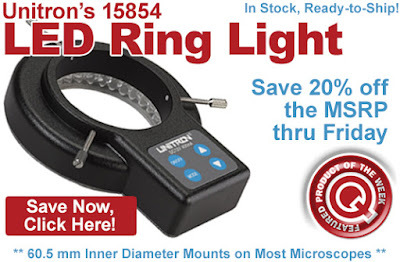 The 395 uses a color-coded LED scale and half decade measurements to provide a close indication of the actual value. The unit also features a “warning” stage that alerts the auditor when material is approaching the upper end of the dissipative scale. 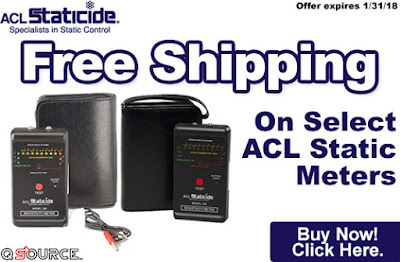 Please visit our ACL Staticide Meters Free Shipping promo page to take advantage of this limited-time offer. You may also contact us by phone (800-966-6020), email, or via our Web site. 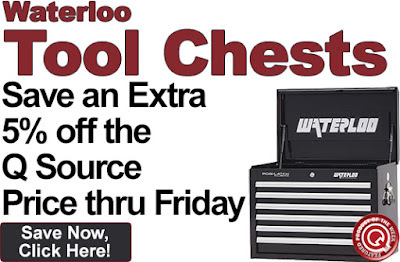 Save an extra 5% off the Q Source price of Waterloo Tool Chests. To take advantage of this discount, just add an eligible tool chest to your shopping cart. Our Featured Product promo is valid Monday, December 4, 2017, through Friday, December 8, 2017. Click here to shop for Waterloo Tool Chests. For further questions, call us (800-966-6020), or send us an email (qsales@qsource.com). Please note: This promo is valid only at QSource.com. It’s Cyber Monday 2017! 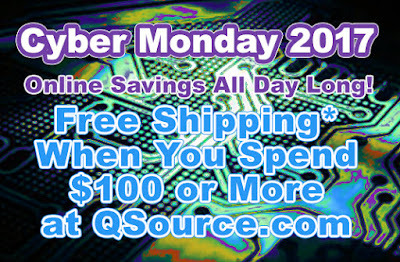 Today you can get Free Standard Shipping* in the contiguous United States when you spend $100 or more at QSource.com. Free Shipping promo calculated from cart subtotal. *Some restrictions apply based on size/weight of package. Current Promos Free Shipping offers take precedence. For additional information or questions, you may also contact us by phone (800-966-6020), email, or via our Web site. We also have live Web chat at QSource.com during regular business hours (8:30 a.m. to 5:30 p.m. Eastern). 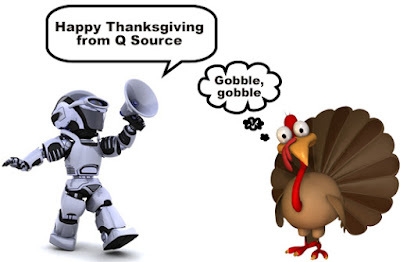 Happy Thanksgiving from Q Source! As always, we are very thankful for our loyal customers, vendor partners, and all of you who follow us online or via email. We are grateful for your support and patronage over the years. May you and your families have a very happy and safe holiday. So that our Q Source family can fully enjoy the holiday, our office will be closed on Thanksgiving Day (November 23, 2017) and on Friday, November 24th. We will re-open the office for regular business on Monday, November 27th. QSource.com will be available for your orders during our holiday closing (and is always accessible 24 hours a day, seven days a week). Orders placed over the closure will be processed ASAP and you will be notified via email upon completion. Our office can also be contacted via email, phone (800-966-6020), and Web chat with immediate responses during regular business hours. ASG, a division of Jergens, Inc., is an ISO 9001:2008-certified manufacturer, provider, and service center for products and solutions focused around assembly. ASG’s assembly solutions consist of four product groups: Assembly, Industrial, Precision Fastening, and Automation. The ASG Assembly product group focuses on light and general assembly tools and accessories, like electric and manual screwdrivers, error-proofing products, production aides, and tool accessories that offer reliable performance. This is the product group to concentrate on if you are seeking tape and label dispensers, torque arms, digital torque testers, or screwdrivers. ASG Assembly serves the electronics, medical, optical, telecommunications, tier automotive, appliance, and general industry markets. The ASG Industrial product group provides commanding pneumatic power and manual torque control as well as durable performance in tough working environments. ASG’s industrial products include air nippers, air motors, pneumatic torque control tools, pulse tools, and torque wrenches. These tools are intended to supply heavy industry end markets, including tier automotive, appliance, fabrication, machinery, construction, and electronics. The ASG Precision Fastening product group focuses on controlled performance by providing intuitive interface, high feature-to-value ratio, proven reliability, excellent delivery, precision accuracy, and quality control of the final manufactured product. The Precision Fastening line features the X-PAQ™ controller, SD2500 Series screwdrivers, and products and solutions for precision fastening requirements. The markets served by ASG Precision Fastening include aerospace, energy, tier automotive, electronics, medical, and military. The ASG Automation product group provides custom engineered performance solutions to meet the need needs of their clients. This line creates custom-engineered products for integration into assembly systems. Underpinned by world-class knowledge of threaded fastening, ASG’s systems are distinctive in their operation; providing market-leading precision. With robust elements of flexibility and expansion built-in, the systems are designed to persevere life cycle changes to provide customers with the ultimate automated solution. Offering auto feed systems, premium torque arms, and robots, ASG can provide the custom automation solution to meet any need. ASG creates cutting edge assembly solutions products to meet the needs of customers all over the globe. To learn more about, or to purchase, ASG’s products please visit QSource.com’s ASG Department, email us, or call us at 800-966-6020. Q Source, Inc. has been an authorized distributor of ASG products for almost 25 years. 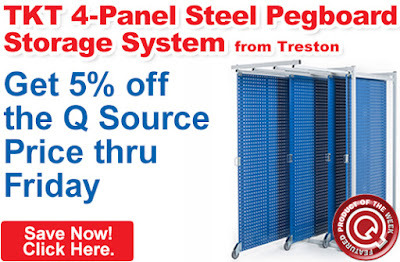 Save an extra 5% off the Q Source price of the Treston TKT 4-Panel Steel Pegboard Tool Storage System. To take advantage of this discount, just add the TKT to your shopping cart. Our Featured Product promo is valid Monday, November 6, 2017, through Friday, November 10, 2017. The TKT Tool Storage Systems requires no mounting, sits securely on the floor, has panel casters that make it easy to move, and features a 220-lb. load capacity per panel. Get 172 square feet of storage from 21.5 square feet of floor space. Learn more at QSource.com. Click here to shop for the Treston TKT. For further questions, call us (800-966-6020), or send us an email. Please note: This promo is valid only at QSource.com. 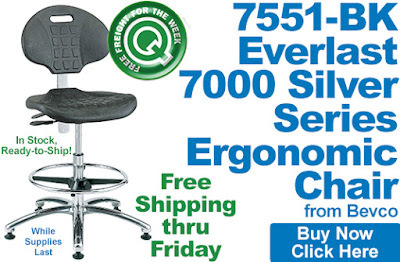 Exclusive, while-supplies-last-limited-time Free Shipping* offer on the Bevco 7551-BK Everlast 7000 Silver Series Ergonomic Chair (20.5” to 30.5”, black polyurethane w/articulating tilt seat and back, adjustable chrome footring, and mushroom glides). To take advantage of this discount, just add a chair(s) to your shopping cart. Our Free Freight promo is valid Monday, October 30, 2017, through Friday, November 3, 2017. * Free standard shipping in the contiguous United States. Current inventory includes 10 chairs ready to ship. Click here to purchase the Bevco 7551-BK chair. For further questions, call us (800-966-6020), or send us an email. Please note: This promo is valid only at QSource.com. Leading off this week’s column: With Halloween next week, this post from TerraCycle about costumes made from recycled junk is timely. Soda Tab Monty Python Black Knight anyone? If you work in the auto manufacturing field, this post from Wearwell may help you learn about common industry injuries and how they impact your business. With plans to go to Mars and explore our solar system, this Agilent Technologies post offers important information about what long-term spaceflight does to the human body. 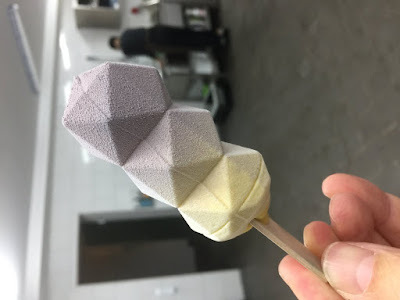 3D printing has been a great resource for creating prosthetics. 3D Printing Industry’s post examines how one company is now offering customized 3D-printed prosthetics for the individual amputee’s lifestyle. 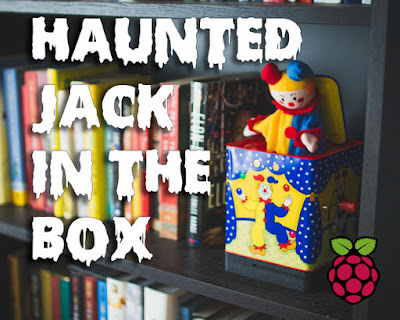 In another Halloween-related post, this time from Instructables, learn how to make a haunted jack in the box. Creepy! 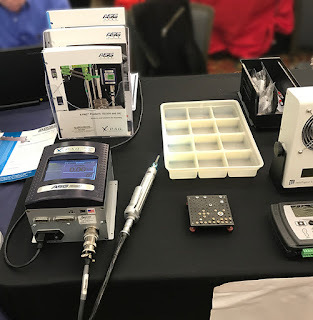 And we close out this week’s column with a blog post about our exhibit at the 2017 Long Island SMTA Expo and Technical Forum. 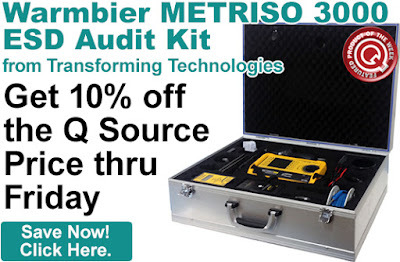 Get an extra 10% off the Q Source price of the Transforming Technologies METRISO 3000 ESD Audit Kit. To take advantage of this discount, just add the METRISO 3000 to your shopping cart. Our Featured Product promo is valid Monday, October 23, 2017, through Friday, October 27, 2017. The METRISO 3000 features the relevant test instruments and equipment needed to perform ESD audits and material qualifications and testing of ESD control elements. The kit includes the METRISO 3000 High Resistance Meter, SRM110 Surface Resistance Meter, EFM51 Static Field Meter & Charge Plate Set, Two Disc Probes, Ring Probe, Hand Probe, Two-Point Probe, and an Aluminum Case with Wheels. Click here to shop for the Transforming Technologies METRISO 3000 ESD Audit Kit. For further questions, call us (800-966-6020), or send us an email. Please note: This promo is valid only at QSource.com. 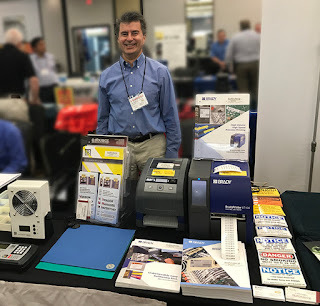 Last Wednesday’s Long Island SMTA Expo and Technical Forum at the Melville Marriott in Melville, NY was another excellent resource for the SMTA community. 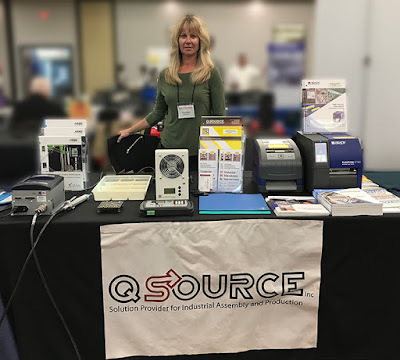 Q Source’s exhibit presented a selection of popular and related products and offered the expertise of our staff and vendor representatives. Q Source’s Territory Account Specialist Diane Semple overseeing our table exhibit. Our Brady rep, Bob Scanlin, demoed these pro-quality industrial printers at our table. ASG’s X-PAQ Precision Fastening System on display (learn more at QSource.com). For more info about the Long Island SMTA, please visit their Web site. For info about Q Source, or to purchase products from our extensive online selection, please check out QSource.com. You may also contact us by phone (800-966-6020) or email. 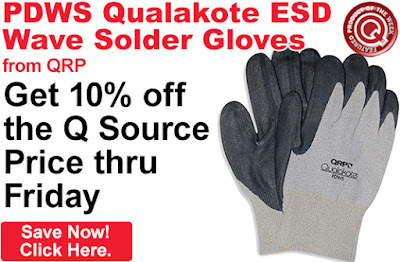 Get an extra 10% off the Q Source price of QRP’s PDWS Low Heat Qualakote ESD Wave Solder Gloves. To take advantage of this discount, just add eligible gloves to your shopping cart. Our Featured Product promo is valid Monday, October 16, 2017, through Friday, October 20, 2017. QRP’s PDWS Gloves are extra thick for thermal protection, are knitted from nylon carbon yarn, and feature nitrile-dipped palms for extra toughness. These gloves are great for industrial applications including electronics, manufacturing, assembly, inspection, packaging, and light industrial. See the individual product pages for more info. Click here to shop for these QRP PDWS Qualakote Gloves. For further questions, call us (800-966-6020), or send us an email. Please note: This promo is valid only at QSource.com. Leading off this week’s column: In Agilent Technologies’ post, we learn how olive oil may influence aging. Can robots and humans be friends? RobotNext’s post looks at how “emotional” robots are making these relationships more possible. What if your home or car windows could regulate temperature based on the season? The National Nuclear Security Administration looks at a collaboration between Sandia Labs and IR Dynamics to create adaptive nanoparticle film to do such a thing. In another example of the application of 3D printing and healthcare, 3D Printing Industry posted about how lifelike 3D-printed backbone replicas are being used to train future surgeons. 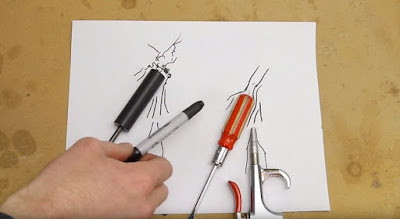 How do you make a screwdriver float in the air? Check out this Make: post for the gravity-defying answer. 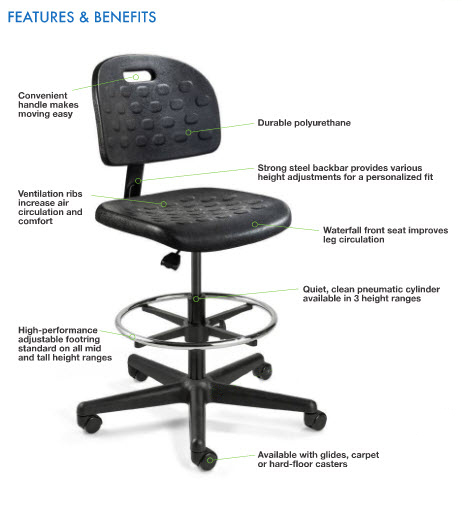 And we close out this week’s column with our post about a new Bevco promo on their BREVA V7 Value-Line Poly Series Chairs. 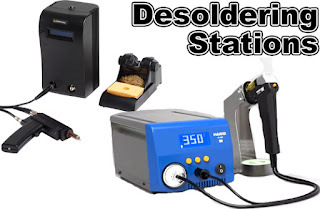 Hot Air Rework vs. Desoldering Stations: Which One Should You Choose? 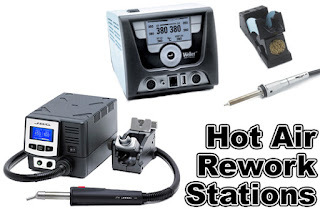 There are a few key differences between hot air rework stations and desoldering stations. First, and most notable, is the size of the two different stations. The hot air stations tend to be much larger than the desoldering stations. Thus, to work with hot air, you will need to bring the defective parts to the station. In comparison, the desoldering station can be brought to the parts, which offers much more flexibility. Another noticeable difference between the two stations is their price tag. A hot air station will often carry a heftier price tag because it includes more features and extras than desoldering stations. The key is to find the specific tool that is best for your application needs. Choosing the right tool for the job will save you countless time and money in the long run. A hot air rework station has many benefits. Because it uses hot air, the station is great for very quick and easy jobs where, perhaps, just one component needs to be removed from a printed circuit board (PCB). The opposite is also true, adding a single part to a PCB is also extremely simple by utilizing hot air to quickly and efficiently return the board to working order. This tool can also be used to fit heat shrink onto wires making it an extremely versatile device. A desoldering station also offers many benefits for specific applications. These stations provide a great deal of precision with their many features. Their compact size allows these stations to be much more mobile and makes for easier clean up at the end of a job. The simplicity of a desoldering station also makes it an asset to some. Why pay for all the bells and whistles when you only need the device for its basic uses? Desoldering Stations help make reworking PCBs an easier task. Both types of rework stations offer a variety of benefits and shortfalls. By doing your research you can discover which device fits best in your specific day-to-day needs. QSource.com offers a wide selection of Hot Air Rework Stations from JBC Tools and Weller®. In addition, we have a variety of nozzles & tips and pencils & handpieces. Our Desoldering & Rework Stations include models from Hakko, JBC, Metcal, and Weller. We also offer a myriad of accessories and related products such as desoldering braid & desoldering wick, irons & handpieces, and desoldering pumps & solder suckers. Get Free Freight* on SCS’ Nylon Spudger Soldering Tool. To take advantage of this discount, just add a spudger(s) to your shopping cart. Our Free Freight promo is valid Monday, October 9, 2017, through Friday, October 13, 2017. * Free standard shipping in the contiguous United States. This spudger tool is made of ultra-strong 33% glass-filled nylon plastic and is suitable for use around ESD-sensitive items. 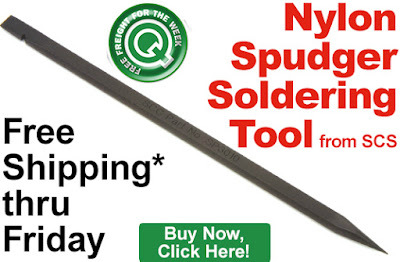 Use this spudger for forming leads or probing parts, spudging solder joints flat, and more. Visit the product page for further information. Click here to shop for SCS Spudgers. For further questions, call us (800-966-6020), or send us an email. Please note: This promo is valid only at QSource.com. 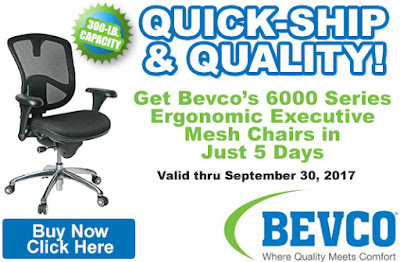 Our newest Bevco promo saves you an extra 10% off the Q Source price of BREVA Value-Line Poly V7 Series Ergonomic Pneumatic Chairs. These economical chairs are produced with the same quality as all Bevco products. This limited-time offer runs October 1st through October 31st, 2017. 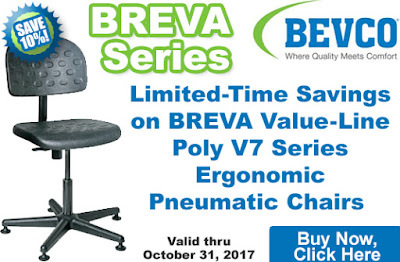 Please visit our Bevco BREVA Series Value-Line Poly V7 Series Ergonomic Pneumatic Chairs promo page to take advantage of our limited-time savings. You may also contact us by phone (800-966-6020), email, or via our Web site. Please note: This program runs until October 31, 2017. Leading off this week’s column: TerraCycle’s post tells us about the Great Green Wall; a wall of trees being planted across the southern edge of Africa’s Sahara Desert. This 3M post offers up a combining of science and fashion design, as it looks at how designers are creating new apparel using retroreflective materials. Here's a helpful post of interest to model railroad hobbyists: Xuron Corp. shows you how to cut model railroad track. If you’re in the food production industry, this Puritan post on the importance of food safety staff is a must-read. 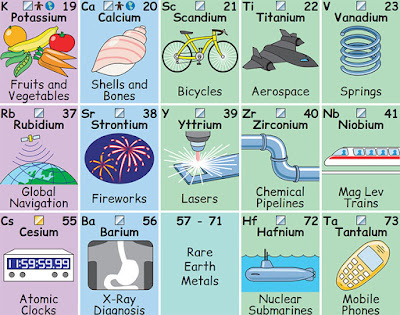 This Laughing Squid post presents an illustrated Periodic Table that shows how the elements interact with our daily lives. 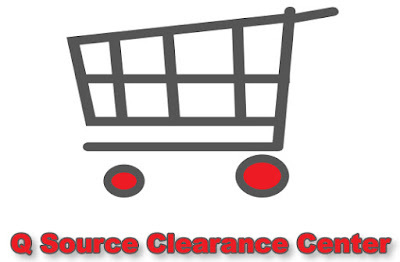 And we close out this week’s column with our post about the Q Source Clearance Center. 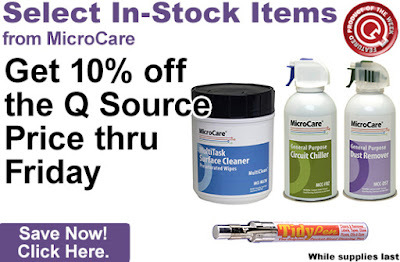 Get an extra 10% off the Q Source price of select, in-stock MicroCare products. To take advantage of this discount, just add an eligible MicroCare item to your shopping cart. Our Featured Product promo is valid Monday, October 2, 2017, through Friday, October 6, 2017. Eligible items include no-clean flux remover, stencil cleaners, contact cleaners, dust removers, presaturated wipes, and more. Please visit the individual product page for each dispenser for more details. Click here to shop for MicroCare products. For further questions, call us (800-966-6020), or send us an email. Please note: This promo is valid only at QSource.com. Our Flash Friday Sale is back! 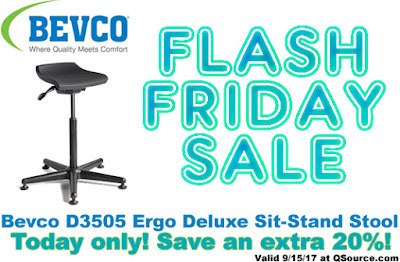 This time, you’ll get an extra 15% off the Q Source price of select Bevco ErgoLux Soft Poly Jr J3000 Series Backless Stools. To take advantage of this discount, just add an eligible stool to your shopping cart. Our Flash Friday Sale promo is valid Friday, September 29, 2017 only at QSource.com. These ErgoLux Soft Poly Jr J3000 Series Backless Stools feature super-soft, high-density visco-elastic memory foam seat; a 300-lb. weight capacity, and resilient long-lasting ergonomic support. Please see the individual product pages for more details. 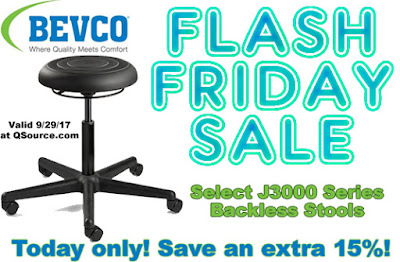 Click here to purchase an eligible Bevco Stool. For further questions, call us (800-966-6020), or send us an email. Please note: This promo is valid today only at QSource.com. 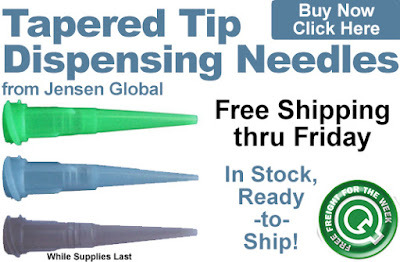 Get Free Freight on In-Stock Jensen Global Tapered Tip Dispensing Needles. To take advantage of this discount, just add an eligible needle to your shopping cart. Our Free Freight promo is valid Monday, September 25, 2017, through Friday, September 29, 2017. Eligible dispensing needles are available in High-Precision and Economical models. Their tapered tip creates less back pressure, which helps prevent dripping, and they have a threaded helix hub on one end and taper down to the opening on the other end. For more details, please see the individual product pages. Click here to shop for Jensen Global Tapered Tip Dispensing Needles. For further questions, call us (800-966-6020), or send us an email. Please note: This promo is valid only at QSource.com. For those of you who deal with sensitive electronics, this Desco post offers valuable ideas for creating an ESD compliance plan. This Agilent Technologies post presents a look at how an earthquake can impact human health on a physiological level. The folks at Wearwell shared this helpful post full of industrial workplace safety resources. 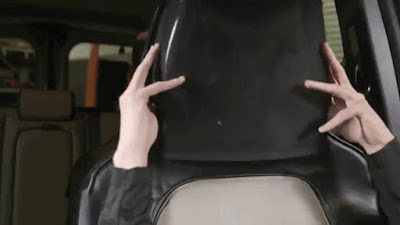 In one of the odder stories we’ve seen recently, Laughing Squid shares the story of a researcher who dressed up as a car seat. 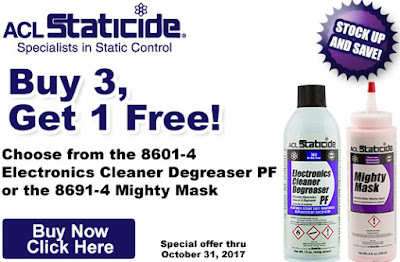 And we close out this week’s column with our post about our Q Source-exclusive ACL Staticide buy 3, get 1 free promo. 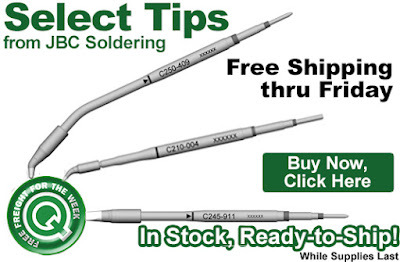 Get Free Freight on In-Stock JBC Soldering Tips. To take advantage of this discount, just add an eligible tip to your shopping cart. Our Free Freight promo is valid Monday, September 18, 2017, through Friday, September 22, 2017. Eligible tips are available in several cartridge sizes and types with various tip shapes including conical, chisel, curved micro tweezers, spade, and sloped. For detailed info, please see the individual product pages for each tip. Click here to shop for JBC Soldering Tips. For further questions, call us (800-966-6020), or send us an email. Please note: This promo is valid only at QSource.com.